Students in the primary grades develop the necessary foundation for future learning. The core curriculum focuses on language acquisition skills, mathematical concepts, and Bible History basics. The Superkids program develops the skills of the emerging reader in a research proven, fun and memorable way. Most importantly, these young hearts learn the truth of the Gospel message each day. Pre-school introduces Art, Music, and PE and are a regular part of the K-8th grade program. This three-tiered system has proven effective for over 2,000 years. 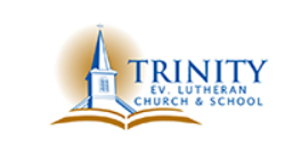 Trinity Lutheran students graduate consistently test in the top 20% of students across the nation. Students in the elementary grades build on the foundation established in the primary grades. Language acquisition skills transform into language fluency. Mathematical computation is enhanced with problem solving skills, and Bible History lessons are connected to real word applications. Foundational skills in science, social studies, and geography are a regular part of the elementary curriculum. Students in the elementary grades begin using their athletic and artistic skills in varied ways. Elementary students begin incorporating technology through Peace’s 1:1 Chromebook program. Middle School students delve deeper into the core curriculum guided by instructors who specialize in religion, math, history, science, and language arts. They also experience a high school equivalent math curriculum. Hands on experiences are a regularly included in science, and technology is integrated across the curriculum. Middle school students also undergo a series of topical and doctrinal bible studies which further enhance their relationship with Jesus.